You've heard about the 7 Great Wonders of the World and the 7 Wonders of Oregon, but are you familiar with Mt. Hood Territory's 7 wonderful trails? From biking routes and water ways, to heritage trails and art walks, here are 7 of our favorites. Hop in your car and explore the agricultural wonders that Mt. Hood Territory produces. (Pun absolutely intended.) But you'll see more than u-pick fruits and vegetables. 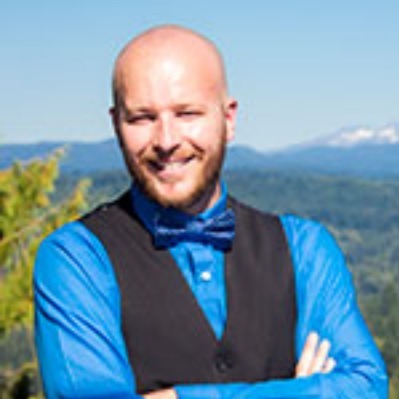 The Canby, Farmlandia and Molalla Farm Loops include flower farms that bloom in a brilliant display of color, wineries, Christmas tree farms and even an elk farm. You'll see this is most certainly where Oregon's famed beauty meets its bounty. If you're into history and scenic beauty, then the Barlow Road is the perfect escape for you. Travel the same trail pioneers took on the final stages of their months-long trek along the Oregon Trail. Walk the ruts at Barlow Pass and Pioneer Woman's Grave, see the perilous Laurel Hill and final Tollgate in Rhododendron, or stop by Philip Foster Farm for a peek into pioneer life, en route to the end of the Oregon Trail in Oregon City. The Clackamas River winds through Mt. Hood Territory providing scenic beauty matched with ample recreational opportunities. 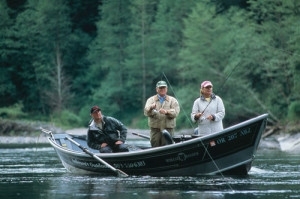 The river is popular with salmon and steelhead anglers who can bring in some trophy catches of these and other fish. Paddlers enjoy the rivers more tranquil spots, while whitewater rafters get their adrenaline pumping by shooting the many rapids that are placed throughout the rivers run through The Territory. Who said trails had to be just on land, anyway? For those who prefer to get their kicks on two wheels rather than four, the Sandy Ridge Trail System is a great route for mountain bikers. The entire system offers over 15 miles of trails, ranging from easy for beginners to more challenging trails for experienced riders looking for adventure. Its a great way for a family to spend some quality time together, or for avid riders to get in a good workout while touring around Mt. Hood Territory. 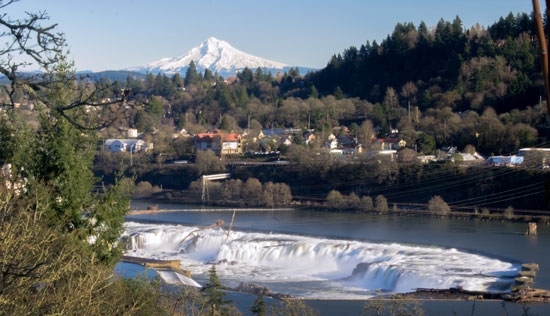 The Willamette Falls Heritage Trail is a self-guided trail highlighting more than 30 historically-significant spots in the Oregon City, West Linn and Lake Oswego areas of Mt. Hood Territory. Museums such as >The End of the Oregon Trail Interpretive Center tell the story of the early pioneers who made Oregon home, while historic sites like the mighty Willamette Falls and surrounding historic homes paint the picture of the birth of Oregon. Art doesn't have to hang on walls, as proven by the very public art display throughout the city of Lake Oswego known as the Gallery Without Walls. More than 60 sculptures are included in a walking trail that showcases eclectic pieces ranging from traditional to modern. Some popular works include a dog made out of various pieces of reclaimed metal, a large, contemporary elephant and a bronze sculpture of a mother teaching her young child to walk. The pieces evoke emotions from happiness to whimsy to nostalgia, and showcase the artistic talent in Oregon's Mt. Hood Territory. Encompassing some of the most scenic country you will ever see, the Mt. Hood Scenic Byway takes you by breathtaking views of namesake Mt. Hood, over rushing rivers, through sweeping panoramas of the fertile valley farmland, and along the route that early pioneers traveled on the historic Barlow Road.